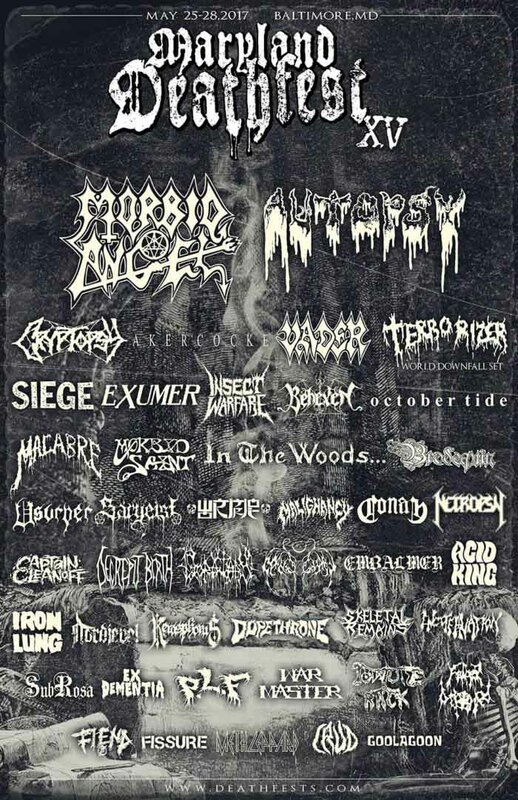 Maryland Deathfest has reorganized their festival back to their original roots. The SJW-ran Baltimore festival has finally ditched the junkie-surrounded, crust-filled parking lot with the awful PAs and returned to being an indoor only event. Moreover, they have packed all the idiot stoner hard rock bands into one venue on Thursday night so the organizers may collect sludge dollars and metal heads may avoid them. Among the notable bands announced today were Vader, Cryptopsy, War Master, Insect Warfare, and Morbid Saint. Houston-based progressive band Oceans of Slumber release the video for the song “Remedy” of the song off their self-released debut Aetherial today. They represent the best of this new style of “progressive metal”: musically literate, disciplined and tasteful. I don’t think it makes sense to call this style “metal.” It’s a polyglot, based in the late 1970s changes to progressive rock, which went more toward a collaborative musician’s musician jam than the epic and overblown custom song structures of the early 1970s. Similarly, this song mixes up a lot of styles: djent for the rhythm riffs, jazz for the soloing and harmony, alternative rock for the transitions, and a lot of hidden elements from punk, techno and metal in how it frames rhythm and change. Ultimately its goal is not really to sound like metal so much as it is to be a progressive jam band, which allows this band to drop some of the metalcore-influenced extremes that have blighted “progressive metal,” and instead focus on what jazz does well: stitch together different types of things into an ongoing narrative. This “quiltmaking” has always been part of the heritage of jazz, which has specialized in taking mainstream pop songs and reinventing them with bits of music theory scattered by other genres. It may be that there are two real styles of writing music. One revolves around the musicians and listeners, and is a personal style that is likely to frame things from the perspective of individuals. The other is a devotional style, in which musicians and listeners are but some members of the group who can receive the signal sent by the music and participate in its meaning. As a result, “Remedy” is more for those who want the first type of music rather than the second, even though it takes inspiration from it. What impresses me about this track is how polished it is, in the older sense of the word that means every part fits together and there’s no stuff that doesn’t clearly relate to what’s going on. The worst excesses of prog are purged and replaced with a good listen. While I thoroughly enjoy this song, and note its metal inspirations from 1970s hard rock through death metal, it’s hard to claim it as a metal song. Thus it’s wise to hear this with an open mind and no expectations of metalliness. It’s a universal music now, given freely to the world, not claimed by a genre. Aetherial was released on February 1, 2013. It “deftly blends an array of styles, emotions and atmospheres” and features former Insect Warfare drummer Dobber Beverly along with a cast of accomplished musicians. 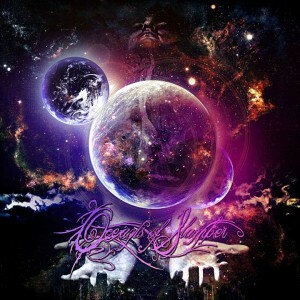 Aetherial is available through all major online music retailers or by visiting www.oceansofslumber.com.